GLENDALE, Ariz. — The Arizona Coyotes have undergone massive changes in recent years, parting ways with key players while overhauling their roster. Defenceman Oliver Ekman Larsson has been the one constant and he's going to be in the desert a long time. The Coyotes signed the two-time All-Star defenceman to an eight-year contract extension on Sunday that averages $8.25 million per year. Arizona also signed Niklas Hjalmarsson to a two-year contract averaging $5.5 million per year, locking up its top two defencemen, and added forward Michael Grabner to a three-year contract averaging $3.35 million. "Oliver is one of the NHL's premier defencemen and we are ecstatic to have him signed for the long-term," Coyotes GM John Chayka said. "He's a special player and person and we want to build our team around him. You can't win in this League without a star, elite defenceman and we're fortunate to have that in OEL. We look forward to many years ahead with him as our leader on and off the ice." The 26-year-old Swede was an All-Star for the second time in his career last season, finishing with 14 goals and 28 assists. Ekman-Larsson is second among Arizona defencemen with 102 career goals and 290 points since being selected with the sixth overall pick of the 2009 NHL draft. "This is a very happy day for me and my family," Ekman-Larsson said. "I have always loved living and playing in Arizona and this is where I want to be. I signed with the Coyotes because I believe in our team, I believe in our fans and I believe in this market and I want to win here." 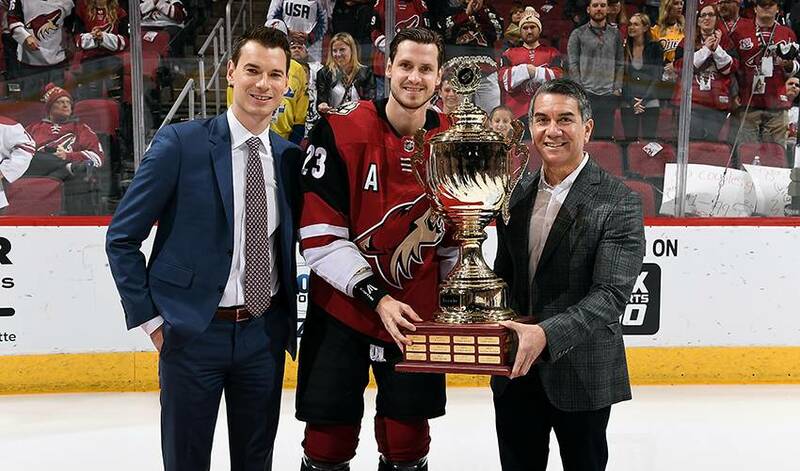 Ekman-Larsson has taken over a leadership role with the Coyotes since the team parted ways with long-time captain Shane Doan last off-season and overhauled their roster with younger players. Arizona recently traded Max Domi, one of its top young players, to Montreal for young scorer Alex Galchenyuk.